HAZEL PARK’S CITY COUNCIL consists of members Alissa Sullivan, Andy LeCureaux, and Beth Holland. Mayor Michael Webb also represents the City, along with Mayor Pro Tem Amy Aubry. Hope-Not-Handcuffs is a program that seeks to get addicts into treatment centers rather than having them arrested and incarcerated. 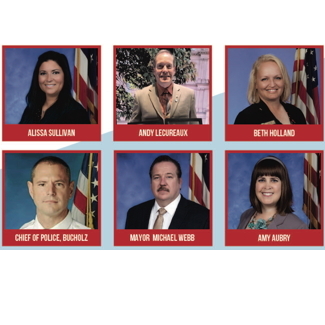 Addicts choose to turn themselves in at participating police departments or submit a form on the Families Against Narcotics web site. From there, a desk officer at the station will call for a program volunteer who will sit with the individual and help them get into a program. The idea is to help addicts long-term, thus curtailing the nation’s addiction epidemic, rather than simply working to get those who abuse drugs off the streets for a limited period of time. SULLIVAN SAID THE MAIN PRIORITY OF THE MAYOR AND COUNCIL truly is to provide for Hazel Park residents and make it a better place. 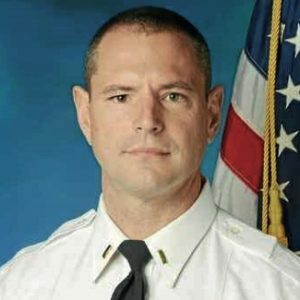 Sullivan is happy to be involved at a time when Hazel Park is finally moving out of a budget deficit and can adequately focus on instituting new programs and services that will benefit everyone in the area. 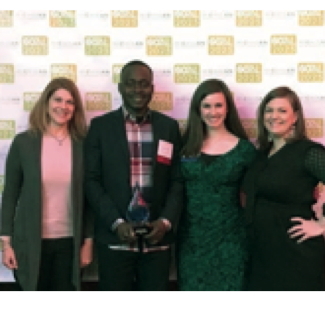 “Our overall goal is to provide the best practices and services that we can for our residents. It’s great to be a part of this turning point – getting past survival mode and moving into enrichment and growth for our city. It’s exciting to see what we can achieve,” Sullivan explained. There are a few arts-related events scheduled to return or be rolled out for the first time very soon. “We’re currently in the planning stages of the 7th annual Hazel Park Art Fair,” (#hazelparkartfair) she said. The ArtOber Art Walk will return in October, and the Arts Council also partners with the Hazel Park Growers & Makers Market, hosting an arts and crafts booth. Sullivan is hoping to implement an animal-focused initiative as well. “I’m also personally working on a low to no-cost TNR (trap, neuter, return) initiative with an ordinance that I hope other cities will be able to duplicate easily for their communities,” she explained. Trap-neuter-return is a program in which free-roaming cats are temporarily captured, spayed or neutered, and returned to the location in which they are found. If the location is unsafe or otherwise deemed unfit, the cat may be relocated. Some are taken to farm houses or placed in animal shelters or foster care for eventual adoption into homes as companion animals. This program has been used to keep the stray cat population to a minimum, while offering a better life to those that are rescued. 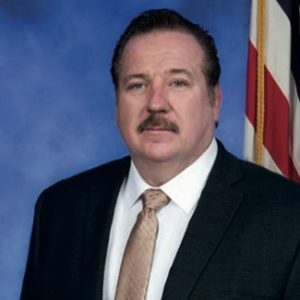 Sullivan encourages Hazel Park residents to get involved in current and upcoming projects, or just share their input on newly instituted projects and ideas. The Mayor and Council continually take into consideration new ideas from local community members. For more information on Hazel Park’s City Council or Mayor or any of the Council’s current programs, please visit www.hazelpark.org or call 248.546.7000. February of 2002 in the middle of a serious municipal budget crisis. Klobucher credits the City Council and cooperative employee bargaining units for his ability to present a balanced budget for the following fiscal year. When asked about the economic outlook for the city, Klobucher shares that Hazel Park has enjoyed resurgence in the past few years with the addition of dining and entertainment venues such as Joe Bar/Frame and Mable Gray. Existing businesses have been renovated, like Kozy Lounge; and other mainstays in the city, like House of Shamrocks and Loui’s Pizza are thriving. From a dining, entertainment, and night-on-the-town perspective, Hazel Park is doing quite well, and continuing to field inquiries from people interested in bringing new venues to the city. The biggest economic development news this year is the closing of the Hazel Park Raceway. The most visible and an iconic landmark, for many years it was the most important business in the city. In the 1950s, the race track provided nearly 50 percent of the City’s general fund revenues. The importance of the raceway cannot be overstated. The revenue it provided was down to 25 percent in 1980s. Unfortunately, with the proliferation of casino gambling in the state of Michigan, the popularity of horse racing declined in the 2000s and accelerated dramatically until the track closed earlier this year. By that time, it provided fewer than two percent of the City’s general fund revenue. Ashley Capital is the organization which developed the Tri-County Commerce Center in part of the raceway property. They also recently purchased the remaining raceway property, and plan two more industrial developments by Spring 2019. Hazel Park cut the ribbon on the Tri-County Commerce Center last year. Since it opened, it has attracted an Amazon fulfillment center, Bridgewater Auto Interiors, LG Electronics, and it is also where they will be building the battery for the new, fully-electric Chevy Volt. That will bring about 200 jobs to the region. Hazel Park has been very successful with the first Ashley Capital development. 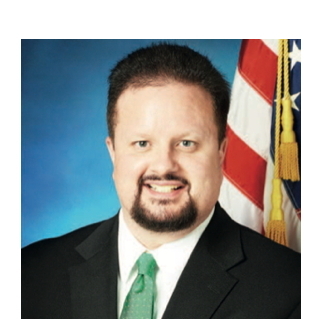 AS OF THIS WRITING, KLOBUCHER SHARED THAT THE CITY IS IN THE PROCESS of licensing establishments who will grow, process, test, transport and provide medical marijuana to Michigan residents. They are currently in the review-and-selection process for the multiple license applications. There will be a study session and lots of committee involvement. Although Klobucher is unable to provide an exact number, there are multiple licenses for each of the four business categories, depending upon the category and type of license. Council, by resolution, may expand or shrink the number of licenses being considered. Currently they are looking at four of every classification, but that number is not final. The City of Hazel Park is currently in the process of updating its Master Plan. They will be completing that work after they finish the burdensome process of the medical marijuana establishments. Hazel Park has become a magnet for entrepreneurs. Klobucher conveys that he is very lucky to work for a good City Council and to have energetic entrepreneurs who believe in and invest their time and resources into Hazel Park. “The cool thing about the new entrepreneurs opening businesses in Hazel Park, like Chef James Rigato of Mabel Gray, is that they are very community-minded,” Klobucher says. Also home to the only suburban community Promise Zone in Metro Detroit, the Federal government has targeted Hazel Park for support and partnered with the local leaders in Hazel Park to improve educational opportunities. Promise Zone Scholarships are available through the Local College Access Network (LCAN). Every student that graduates from Hazel Park High School is guaranteed money to attend Oakland Community College for two years. This is changing and improving the educational opportunities for Hazel Park students. When asked about the future of his city, Klobucher sees Hazel Park thriving. The city has an opportunity to build lasting prosperity. In order to carry out this mission, the group works under the State-funded umbrella organization, Alliance Coalitions for Healthy Communities, and hosts a variety of campaigns, rainings, and after-school events, while publishing a wealth of literature designed to spread awareness. THE COMMUNITY COALITION initially sent out an assessment to determine what the biggest substance abuse issues are in Hazel Park. The group surveyed high schoolers and community members, and determined the primary focus need-ed to be on marijuana and alcohol. From there, the Coalition encouraged individuals to come forward and offer ideas for curtailing these issues. At the same time, they began to offer information not only geared toward the issue itself, but ancillary sub-stance abuse issues as well. Gajos, who graduated from Hazel Park High School in 2013, now has an office inside the school, making him easily accessible to students hoping to open up about their concerns. 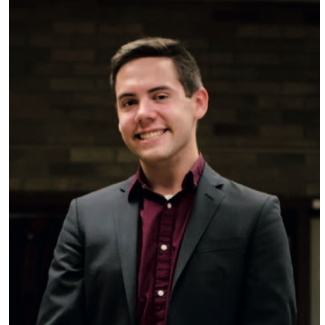 He attended Michigan State University, graduating in 2017 with a bachelor’s degree in international relations and minors in French and international peace and justice. “When I graduated, I got an offer to interview for the Coalition position and decided to give it a try. I’m so glad I did,” he said. “I’m not a licensed counselor but I can offer information and resources to those interested.” He is also employed at the City offices, assisting with social media and outreach, and promotes Community Coalition events through the city pages. THE PROMISE ZONE SCHOLARSHIP PROGRAM IS A NONPROFIT ORGANIZATION founded in 2010, with scholarships first being awarded to the class of 2012. It is one of ten original “Promise Zones” created through legislation signed by Governor Granholm in 2009. More than 60 percent of jobs in Michigan and throughout the country are projected to require a post-secondary credential by 2025, yet only 15 percent of Hazel Park adults currently hold a degree or certificate. “With this in mind, the Hazel Park Promise Zone Scholarship Program was created to eliminate finances as a barrier to higher education for Hazel Park students, to increase educational attainment in the community, and to incentivize families to move into or continue residing in the school district,” said Hazel Park’s Promise Zone Executive Director Kayla Roney Smith. Students who complete the application process are eligible to get full tuition and fees paid for at Oakland Community College (OCC). The scholarship covers 62 credits within four years following high school. Students must reside in the school district at the time of graduation in order to qualify, and to receive the maximum scholarship they must have attended Hazel Park Schools from fifth grade (or earlier) through their graduation year. Students who enter the District after fifth grade are also eligible for partial scholarships, and a student who chooses to attend a Michigan institution other than OCC may be able to utilize it there as well. “​Students are encouraged to apply during their senior year of high school through a brief electronic application,” Roney Smith explains. “This application is released to students during ‘College Month,’ which is celebrated in October. In the spring, they are asked to sign a hard copy form acknowledging they understand the requirements and benefits of the program.” Students must also complete a Free Application for Federal Student Aid (FAFSA), and any additional financial aid application steps required by the colleges they plan to attend. “While there is not a strict application deadline, we ask that they complete these steps prior to their last day of school in order to ensure quick processing,” she said. complete an application, they are eligible. The only exception is if they receive a Pell Grant larger than the amount of the Promise Zone scholarship. If that’s the case, students are able to use their scholarships during the semesters they do not receive Pell Grant funding. The scholarship may be used at any college, university, or approved vocational program located in the state of Michigan. If students receive a federal Pell Grant that does not exceed the Promise Zone amount, the amount of the grant received is subtracted from their total Promise Zone scholarship for that semester. IT MIGHT BE HARD TO BELIEVE A CITY THE SIZE OF HAZEL PARK –ONLY 2.8 SQUARE MILES – HAS 12 PARKS WITHIN ITS LIMITS. Even more surprising is that among those parks are a BMX course, dog park, two community gardens, and an art park. Their responsibilities expand far beyond just park maintenance, including everything from managing programming for seniors and children, coordinating many of the City’s annual events and renting community center space for activities and classes. The Recreation Department oversees eight annual events, and will be adding a ninth on August 4th with their Family Fun event in collaboration with Oakland County Parks. Other events include the Daddy Daughter Dance in February and Earth Day celebration and annual Spring Clean Up with the Department of Public Works in April. Papakhian has been director of the Recreation department since 2014. 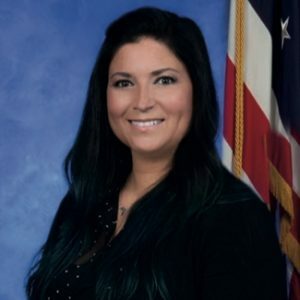 She has her master’s degree in urban planning from Wayne State University, and also acts as assistant city planner aiding in economic development and coding enforcement. In addition to the tree planting program, the Parks and Recreation Department has been replacing and re-purposing playground and park equipment. These fundraising efforts have resulted in $5,000 solicited for new baseball pitching machines, a playscape sourced for Scout Park at no cost to taxpayers, a partnership with the United States Tennis Association with a $25,000 grant for new tennis courts at Hazel Park High School and another playscape installed at Karam Park through the assistance of matching grants from playground company GameTime. While the Recreation Department is doing great work with what they have, they still see the struggles of a small staff and an even smaller budget. Papakhian is the only full-time employee, working with the assistance of just a part-time office employee, sports and camp supervisors, three drivers and three building attendants. There is also a Recreation Advisory board of six members that meet bi-monthly to review and approve projects. “We try to do what we can with what we have. The main struggle is the cost of everything – that’s our number one detriment.” Papakhian says. PAPAKHIAN SEES THE WORK ETHIC OF HER STAFF reflected in the residents of Hazel Park every day, and that volunteers who help with park clean up and community gardens are just as important to the success of the Recreation Department. BEAUTIFYING PUBLIC SPACES IS OFTEN THOUGHT OF as the responsibility of the government, but when citizens pitch in it can make all the difference. The Neighborhood Enrichment Committee is the perfect example of this in the things they do for the City of Hazel Park. Founded in 2004 in collaboration with former Mayor Jan Parisi, the group takes on projects to enhance the appearance and livelihood of Hazel Park. This includes building community gardens throughout the city, hosting fundraising dinners and donating to local organizations. “Neighborhood Enrichment is about inspiring our citizens to make their little corner of the city the best it can be. We are part of the community. We are your neighbors and friends, and all of us are doing what we can, with what we have, where we are,” their mission statement (listed on their Face-book page) says. Probably the most well-known contribution of Neighborhood Enrichment are their many “greenification” efforts. 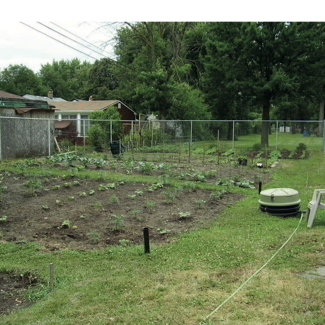 One of their first and biggest projects was adopting Kennedy Park on Merrill St., where they updated playground equipment, in-stalled benches and built a community garden consisting of 17 plots available for residents to grow their own produce. Since 2005, the group has continued to maintain and improve the park. They have since created a planting team, called the Flower Power Committee, which is responsible for gardening and landscaping public areas. One doesn’t have to look far in Hazel Park to see the impact they’ve made, from making over the corner of John R. and 9 Mile roads by building a display and adding flowers and trees in front of City Hall, to recently collaborating with residents of American House to fill planters outside the Hazel Park Recreation Center. One mission of the Flower Power committee is bringing the hazelnut bush – Hazel Park’s namesake – back to the city. They’ve plant-ed some in Kennedy Park and celebrate St. Filbert’s Day on August 20th. The filbert is a variation of the hazelnut, and the celebration is derived from the Roman Catholic holiday celebrated in France and England. Typically, the City puts on a memorial race on the holiday. NEIGHBORHOOD ENRICHMENT ALSO WORKS for the betterment of residents and future leaders of Hazel Park. The group has been funding and installing the “little free libraries” seen around the city, and in June of 2017, they donated two benches with the Hoover PTA to Hoover Elementary for their “Buddy Benches” program. Buddy Benches are a safe space on the playground where more introverted students can sit if they need a friend or playmate. The project hopes to encourage empathy among students. Neighborhood Enrichment also hosts occasional garden tours of Hazel Park neighborhoods, decorates City Hall for Halloween and Christmas and created the Curb Appeal Awards, recognizing the best-looking homes in the area. In July, they coordinated a city-wide garage sale. All the work Neighborhood Enrichment does to better Hazel Park is supple mented by donations and fundraising. Their largest fundraising event is an annual dinner held in May with raffles and prizes. Typically a spaghetti dinner, the past two years the organization has taken advantage of May 5th falling on a weekend and held a Cinco de Mayo-themed event. The 2018 event was co-catered by Country Boy restaurant and featured a taco bar with sides and desserts. The group is always accepting donations and looking for new members interested in beautifying and bettering Hazel Park. Meetings are scheduled to be held the first Thursday of each month at the Hazel Park Recreation Center and event details. IT’S NOT UNCOMMON FOR CITIES TO HAVE A FARMERS MARKET. EVEN SOME OF THE SMALLEST NEIGHBOR-HOODS MEET REGULARLY to exchange homegrown goods and handmade crafts. As of 2016, Hazel Park is no exception, thanks to Jennifer Jackson and a small team of Hazel Park residents. 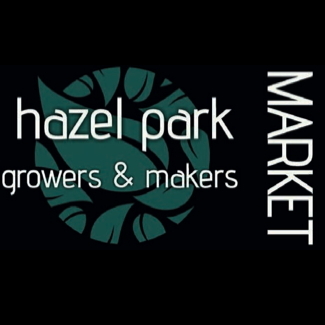 The Hazel Park Growers & Makers Market began their third season on Sunday, July 8th and will run every Sunday through October 14th. Jackson started the market, along with a governing board, when they noticed a lack of affordable, healthy foods for residents. Jackson and Leigh McLaughlin (another member of the market board) attended training through the Michigan Farmers Markets Association – thanks to assistance from the City of Hazel Park – to learn more about proper practices and how to run a successful farmers market. The Growers and Makers Market has anywhere from six to ten vendors on a given weekend, and it has grown to be about more than just food. These merchants vary from artistic endeavors to fresh produce. THERE ARE ALSO KID-FRIENDLY ACTIVITIES at the Growers and Makers Market, thanks to the Hazel Park Arts Council. The organization hosts their Art in the Park program during the market to teach creative arts to kids. Another important element of the Growers and Makers Market is that all residents are able to reap its benefits regardless of income, which is why they participate in Supplemental Nutrition Assistance Program (SNAP) and other food assistance programs. 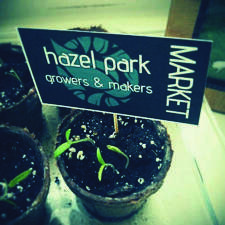 ESSENTIALLY, THE GROWERS AND MAKERS MARKET is about bringing residents together and building up the City of Hazel Park and its residents. Ashley Capital partnered with the owners of the Hazel Park Raceway in 2015 to develop a 575,000 square foot building in the west parking lot of Hazel Park Raceway at 10 Mile and Dequindre. Ashley is one of the largest property holders that primarily markets to tier-one auto suppliers, and they planned and developed this property to be a light manufacturing center. The site is ideal for light industrial, manufacturing and distribution businesses. The building is situated on the northwest corner of a 120-acre site located near the intersection of I-75 and I-696. The 36-acre site is surplus land for the thoroughbred horse race track that was in operation until April of 2018. This is a perfect location within the Detroit Metropolitan area, and is considered “ground zero” for any business needing to quickly access major expressways heading north, south, east, and west. The building was completed in the spring of 2017 and is roughly 80 percent leased. 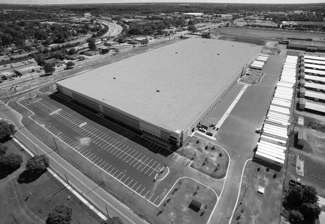 The Tri-County Commerce Center currently houses three tenants: an Amazon distribution center, LG Electronics, and Bridgewater Interiors, which is a logistics company related to Adient, formerly Johnson Controls Automotive. There are two spaces left to lease out in the center; one is 55,000 square feet and the other space is 68,000 square feet. THE CENTER SITS ON HAZEL PARK’S FORMER DISPOSAL SITE, which means the developer is cleaning the site to meet environmental standards and guaranteeing the $2.1 million loan through the Michigan Department of Environmental Quality (MDEQ). The Tri-County Commerce Center will help to add between 200 and 300 jobs and $300,000 to the city’s tax revenue. Ashley Capital has purchased the rest of the remain-ing raceway land, and will be breaking ground on their second building within the next year. The third development is undetermined at the time of this writ-ing. Both of these proposed sites are speculative as of right now and no tenants are in place. According to Kevin Hegg, VP of Acquisitions and Leasing for Ashley Capital, they are investigating and research-ing what types of commercial real estate is in demand for these sites. The location is the primary factor that attracted Ashley to develop here. Hazel Park offers fantastic ac-cess to highways and all quadrants to Metro area markets. While the Tri-County Commerce Center is growing and supporting Hazel Park’s economic turnaround, the plans for further development on the site are steadily progressing, too. Evolution of the site from historical racetrack to economic catalyst for the city marks a very tangible and persuasive shift in Hazel Park’s renaissance. In May 1936, the Hazel Park Parent Teacher Association Council invited representatives from all religious, fraternal, business, social, and community groups to meet at the High School and discuss establishing a public library in Hazel Park. On November 4 of that year, a permanent library organization was established, a constitution adopted, and officers elected. The Library was formally opened on December 12, 1936, in a room loaned by the Board of Education in the basement of the Lacey School. The Library operated in the basement until two lots were eventually purchased at the corner of Pearl and Rhodes in 1937, at a net cost of $368.89, for the purpose of providing a permanent site for the building. Current Hazel Park Library Director Corrine Stocker said, “As a true community project, more than 1,000 Hazel Park residents contributed either money or labor toward the building and equipment. Hazel Park pioneered in this field and proved that no community need be without a library.” The official opening of the new building was January 6, 1941, and that site is currently the home of the Hazel Park Historical Museum. The Library’s present location was designed by Machida and Associates, who also designed the Hazel Park City Hall and Fire Station. The new building was constructed to replace the former Erickson Library, which was overcrowded. The Hazel Park Library subscribes to Overdrive and RBDigital to offer its visitors access to thousands of books, audio books, and magazines. A whole host of programming is also offered, including regular book clubs, children’s story hours, Fun Fridays for Teens, movie nights, craft programs, Detroit Institute of Arts programs, and outreach services to senior citizens in the area. 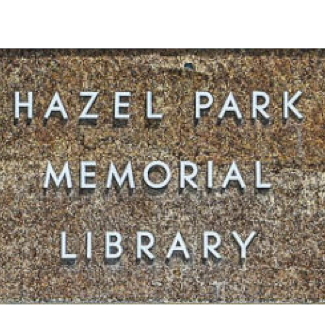 THE HAZEL PARK LIBRARY FRIENDS (HPLF) is a charitable organization serving the Hazel Park District Library, and helping provide many programs and services. The HPLF organizes and runs fundraisers to benefit the Library, including selling snacks, candy, baked goods, plants, books and other items. Occasionally, the HPLF also raffles off gift baskets. Much of the money raised by the HPLF also gets donated back to the Library to pay for things that ii could not otherwise afford, such as perform­ers throughout the year, summer reading prizes, promotional banners, new folding tables, a scanner, and professional development conferences for Library staff. “Thanks to the support of our tireless volunteers, our elected Library Board, as well as the help and assistance of the Hazel Park Library Friends, the Hazel Park District Library continues to grow and develop its resources to adapt to the needs of its patrons,” Stocker said. CORRINE STOCKER HAS BEEN EMPLOYED at the Hazel Park Library for 14 years. 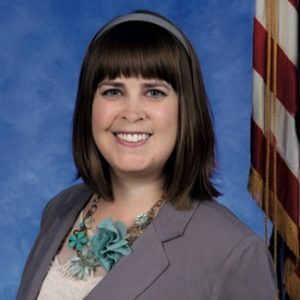 She assumed her current role after Hazel Park’s former Director, Jessica Keyser, left her position to take on the directorship role at the Ferndale Library. 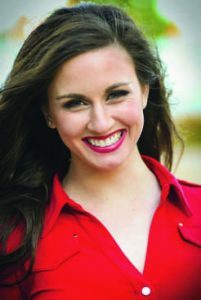 Stocker earned a four-year degree in English from Michigan State University and took a position at Gale Research following graduation, where she was employed for several years. 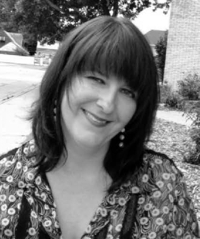 The company paid for her to return to obtain a post­graduate degree in library sciences from Wayne State University. She eventually left Gale to be a corporate librarian for Arthur Anderson before heading to Hazel Park’s library. LITTLE FREE LIBRARIES ARE A TREND, AND POP­PING UP IN YARDS ALL OVER THE COUNTRY. And, thanks to Neighborhood Enrichment, Hazel Park has a few LFLs of our own to promote reading and access to books for kids. Started in 2009 by Wisconsin resident Todd Bol, Little Free Libraries are small wooden containers mounted on a post in a public place and filled with books. 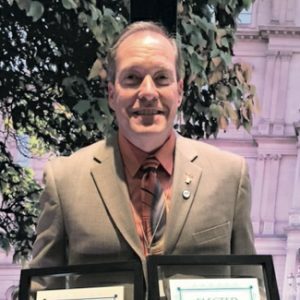 Bobby McDermott, a member of Neighborhood Enrichment, spearheaded the Hazel Park initiative, and already they have helped create four Little Free Librar­ies around the city. The containers used for the project are recycled newspaper stands built by resi­dent artist Richard Gage, and books for the libraries have been donated by Neighborhood Enrichment President, Lois Reithel. Friedman describes how she dressed up the newsstands, using inspiration from a Beverly Cleary book for the one located in front of Hoover Elementary School. These libraries have added creativi­ty to the landscape of Hazel Park, and are seeing interest among chil­dren. McDermott says the groups plan to add another Little Free Library to the city in the future, and that the benefits of the project are endless. “They improve literacy, strengthen our neighborhoods and schools, bring families and kids together, build trust and community,” he says. IF YOU OR A MEDICARE-ELIGIBLE LOVED ONE would like to spend more time talking with your healthcare provider, or learn more about managing your health and attend fun classes, you might want to investigate the Hazel Park branch of Oak Street Health. Oak Street Health aims to deliver value to patients, versus volume of services. Petty says, “Our care is personal. Our physicians spend more than twice as long with each patient than a typical doctor.” He adds that patients are assigned a health care team, consisting of a primary care physician or nurse practitioner, a medical assistant, a care manager, a registered nurse and a “clinical scribe” to document notes. Petty says all staff at the Hazel Park center live in the surrounding communities. The focus is on prevention. 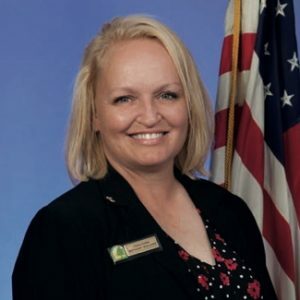 “If a patient receives any other medical treatment, like hospitalizations, rehabilitation services or specialist visits, we are accountable and will pay that bill,” Petty says. He says this approach has decreased patient hospitalizations by 44 percent. “AT OUR HAZEL PARK CENTER, we work with our local, community partners to provide five-week courses on diabetes management, healthy eating and fall-prevention for our patients,” Petty said. The center is located at 1142 Nine Mile Road, between John R and Dequindre. in the community itself,” Petty said. He added that the Hazel Park center hosted a Community Car Show Series every other Saturday, from the end of June to mid-August. At the Hazel Park center, patient events include: computer classes, a monthly birthday celebration, classes including jewelry-making and clay sculpting. Patients that qualify also receive services like transportation to and from appointments. “We also host outdoor BBQ events and casino days as well as exercise such as chair yoga and tai chi. We really focus on the community aspect of health for our patients,” Petty said. 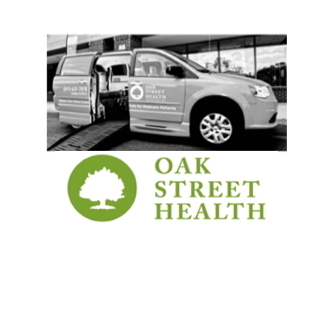 To make an appointment, schedule a tour, or learn more about Oak Street Health, call 1-844-808-8262, or send an email to info@oakstreethealth.com.